We hear it over and over from our architectural business clients, and it’s a common scene for most of us who’ve worked solo, or during our training – staying up well into the night (or, let’s be honest, the next morning) bleary-eyed, working on our designs, tweaking this, perfecting that, polishing the other. Because we love what we do. We take pride in our work. We’re more than happy to take the time to make our designs great. But what is the price of that time? What is the cost to us as professionals, to our firms and practices, to the architectural industry as a whole, and to the greatness of design in general? 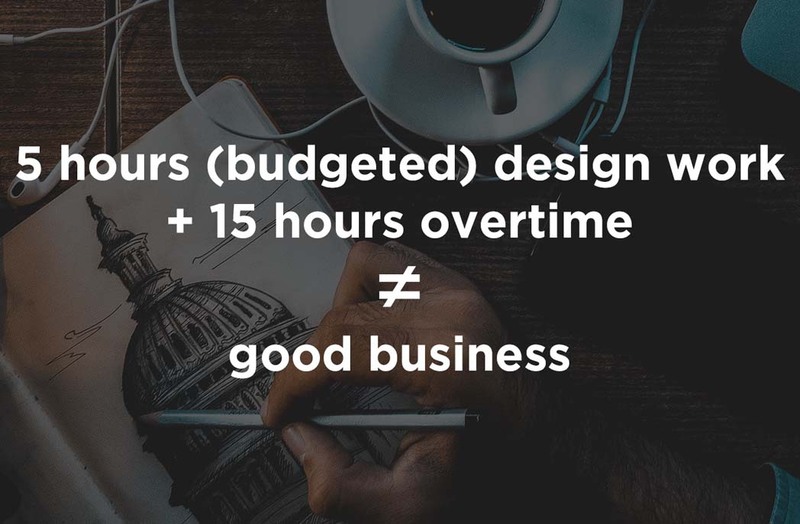 The truth is that unpaid design time costs on all these levels. At Total Synergy, we’ve been championing the importance of accurately and fairly valuing design time for 20 years. We were really pleased to read John Held’s Association of Consulting Architects (ACA) President’s report at the beginning of this month where he called out the detrimental doctrines of many in the sector. “There is still an attitude, often fostered at university, that more hours and all-nighters produce better architecture. We need to teach students and employees that this is the wrong approach,” writes Held. Like us, the ACA president believes that better, more efficient management and sharper focus are the antidote. To us, that means streamlining non-design / administration work for architects by implementing management software that’s easily accessible and highly automated. It also means efficient and accurate timekeeping, so that you can gain a realistic understanding of how long your design work really takes. Once you know how time great design truly requires, you can account for it properly when billing and, even more importantly, when bidding. Read the whole article about how to value your design time on the Total Synergy blog.